5" numbering with white imperial load details & white on black underframe stencils. 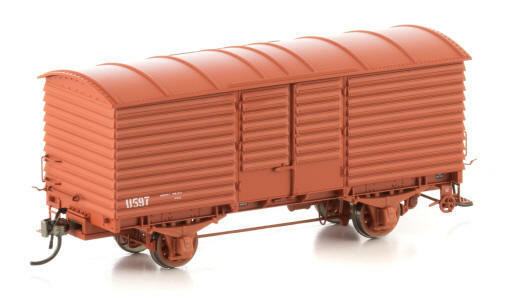 U Van Version 1 – 4’6” long side door, plain panelled roof, wheel handbrake, one trap door in top louvre, numbered between 561 & 991. 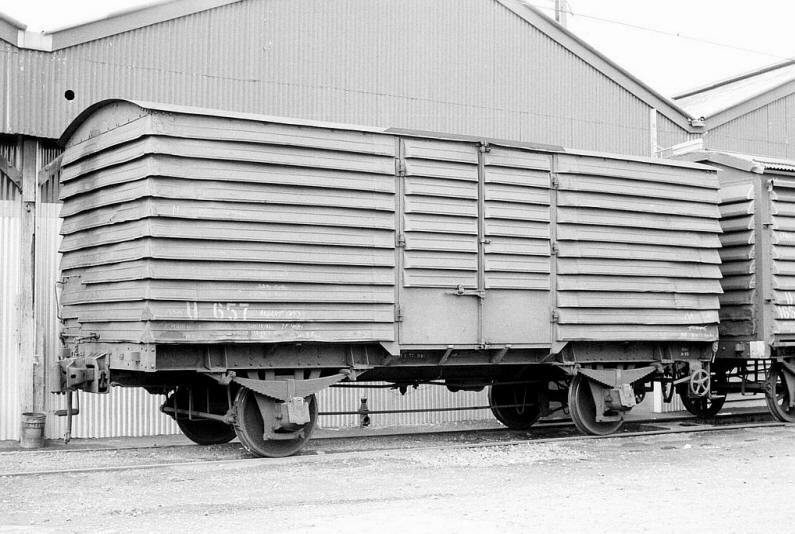 U Van Version 2 – 7’ long side door, plain panelled roof, wheel handbrake, one trap door in top louvre, numbered between 561 & 991. These vans were retrofitted with the longer door. 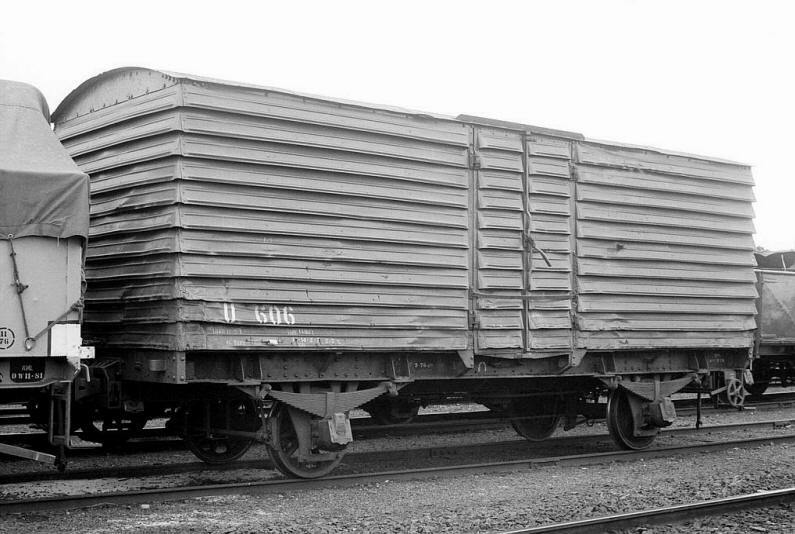 U Van Version 3 – 7’ long side door, corrugated iron roof, wheel handbrake, one trap door in top louvre, numbered between 996 & 1061. 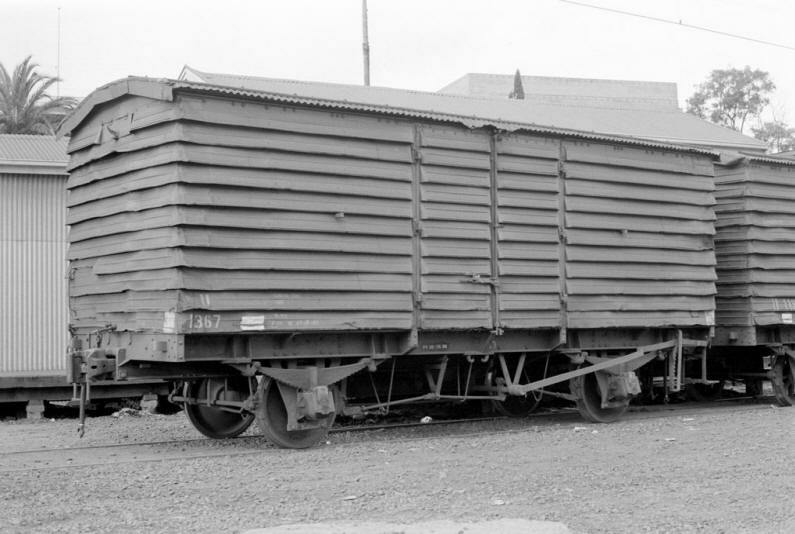 U Van Version 4 – 7’ long side door, corrugated iron roof, wheel handbrake, two trap doors in top louvre, numbered between 1067 & 1216. 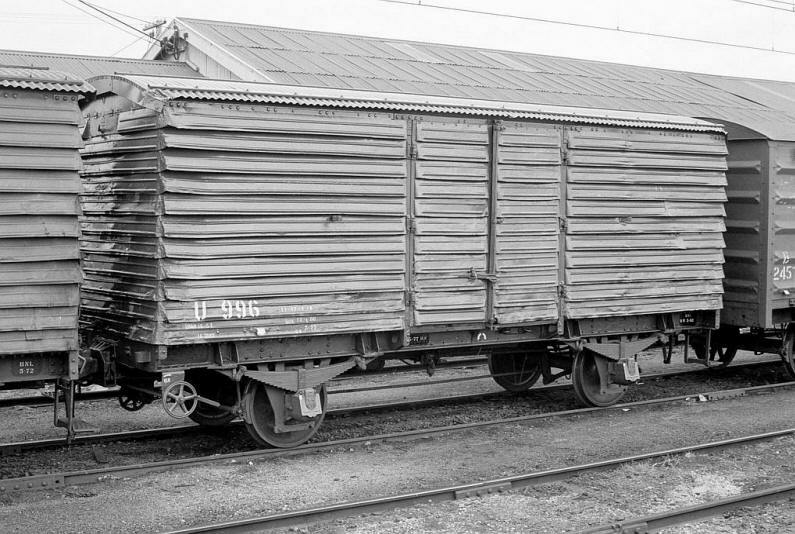 U Van Version 5 – 7’ long side door, corrugated iron roof, lever handbrake, two trap doors in top louvre, numbered between 1217 & 1466. 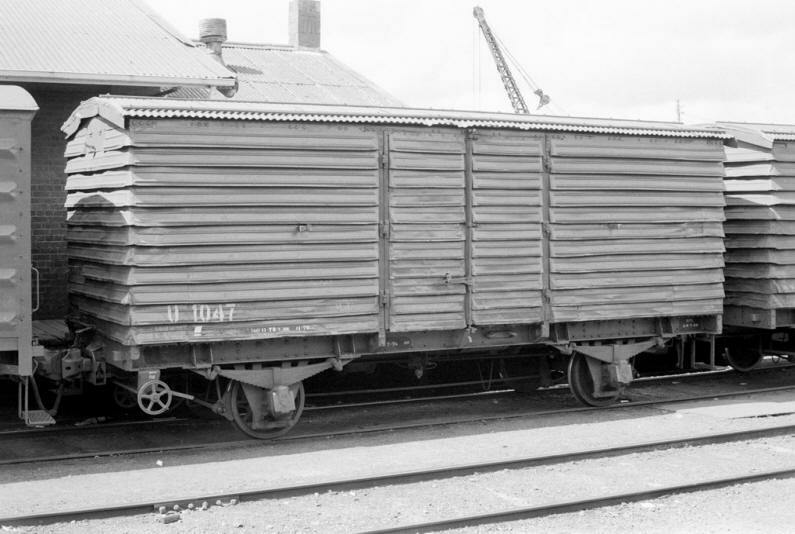 The U Vans were one of the most numerous 4 wheel wagons in service with the Victorian Railways, and worked all over the state until the mid 1980’s.